The Traditional high walled design classic shower tray from MX, designed for creating solid and dependable installation. With their durable and practical attributes the Classic MX shower trays gives a firm foundation to your showering area. MX is the UK's leading manufacturer of shower trays, using the latest design and production techniques, incorporating the most advanced materials. Comes with a 25 year guarantee. Please note: This shower tray comes in 2 different designs, please select size from drop down selection to view actual design. 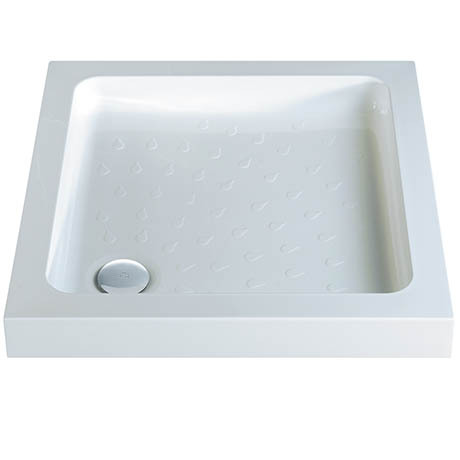 The 1200 x 1200mm tray requires 2 shower wastes. Q. how deep internally is this product? Q. Do you supply the MX-classic flat top 800 x 800 in other colours, i.e.pink?. Looking to replace existing, slightly damaged, pink shower tray. Hi, unfortunately we only provide this tray in the colour on our website. Sorry we couldn't help more today. Well designed and functional product. Build quality is good. Very happy with my purchase.